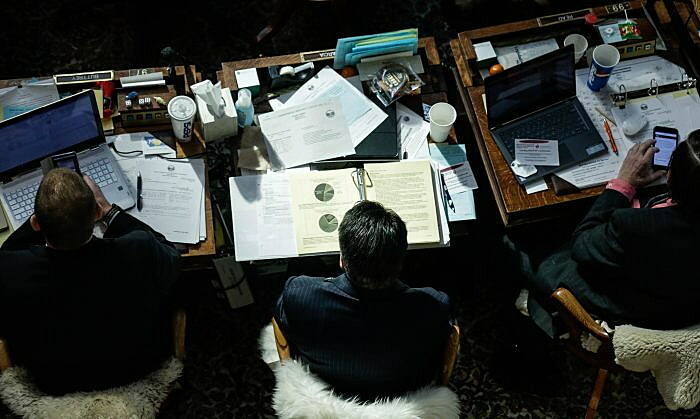 (UM Legislative News Service) On Tuesday, the Montana House of Representatives passed House Bill 2, which combines $10 billion of state and federal funding to run state agencies for the next two years. The bill passed on a vote of 54-46. The bill does include about $14 million for a higher ed tuition freeze, but only $2 million for need-based aid for higher education, not the $5 million requested by Gov. Steve Bullock. The bill’s sponsor, Rep. Nancy Ballance, R-Hamilton, said the House Appropriations Committee had to make tough decisions following big cuts made to the budget during the 2017 regular and special sessions. But, she says she was proud of their work. “It was an unusual situation that we walked into. It was very, very different from what we normally see. We were down as we started this budget. We made the decision not to raise taxes and we are structurally balanced,” Ballance said. The bill will face one more vote before being sent to the Senate.